Amazon.com description: Product Description: In the second, revised edition of a well-established textbook, the author strikes a balance between quantitative rigor and intuitive understanding, using a lively, informal style. 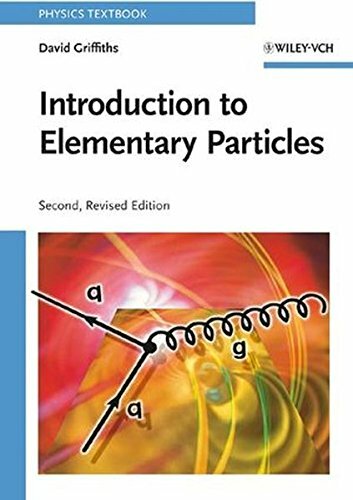 The first chapter provides a detailed historical introduction to the subject, while subsequent chapters offer a quantitative presentation of the Standard Model. A simplified introduction to the Feynman rules, based on a "toy" model, helps readers learn the calculational techniques without the complications of spin. It is followed by accessible treatments of quantum electrodynamics, the strong and weak interactions, and gauge theories. New chapters address neutrino oscillations and prospects for physics beyond the Standard Model. The book contains a number of worked examples and many end-of-chapter problems. A complete solution manual is available for instructors. About: This is the first quantitative treatment of elementary particle theory that is accessible to undergraduates. About: In the second, revised edition of a well-established textbook, the author strikes a balance between quantitative rigor and intuitive understanding, using a lively, informal style.